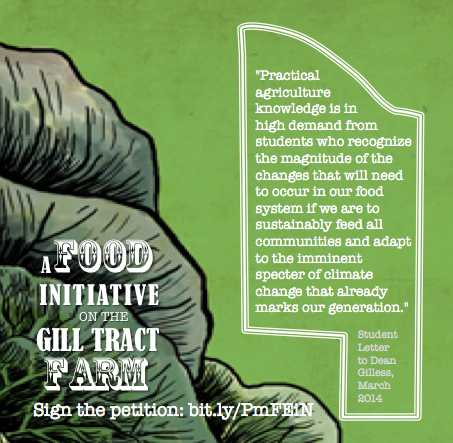 We urge UC Berkeley administration, the UC Regents, and President Napolitano to halt the current development plan for the Gill Tract Farm and enter into a collaborative design process with students and community for the entire Gill Tract Farm. For over 15 years, faculty, students, and local community have protested the commercial development of the historic Gill Tract Farm and research site, managed by UC Berkeley. These concerned stakeholders have crafted several alternative proposals, advocating for its preservation as an educational resource (like the 1997 BACUA Proposal ). 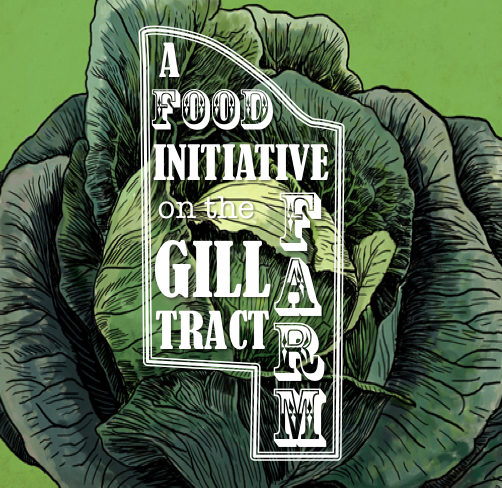 In 2012, after neighbors and students occupied the land in protest of its commercial development, a 1.5 acre section called “Area A,” now called “Gill Tract Community Farm” was transferred from Capital Projects to the College of Natural Resources and became a pilot project for a new community-UC collaboration. That project is flourishing, and we hope to see it grow to all 20 acres rather than the commercial development. Meanwhile, the commercial development that would pave over the southern portion of the Gill Tract is slated to begin any day. This development design, with its vast parking lot, big-box grocery store, and high-end housing project is out of touch with community and student needs. A new grocery store is being built just two blocks from the Gill Tract, making it unnecessary to build another national chain store that trucks in produce from across the globe. Furthermore, the additional diesel from delivery trucks and the removal of bioremediating trees and green space– in a neighborhood whose air quality is already highly impacted by industry and roadways  — would be damaging to the public health of the surrounding community. The UC has begun to prioritize food systems as a critical area for expansion, but this statement has yet to be put into practice. A center for urban agriculture and sustainable food systems at the Gill Tract would accomplish all four goals of the recent President Napolitano’s Food Initiative . The 20 acres are uniquely suited to be developed as a model food system that integrates farming, economics, culture, and public health. It would make UC resources accessible to the public through hands-on education and participatory research, and develop precedent for establishing authentic University to community relationships. This dynamic model could help make the UC system a global leader on issues of food and farming, while improving student education through engaged and active learning. Student and community voices now join together and demand that our public University reconsider the development and work to involve student and community participation in developing an alternative design that integrates the land’s potential for education, research, food production, and distribution. A group of undergraduates, graduates, and alumnae delegates are prepared to meet and move forward with this process. and community for the entire Gill Tract Farm.